During the 2009-2010 school year, I became very good friends with Antonia, an exchange student from Switzerland. 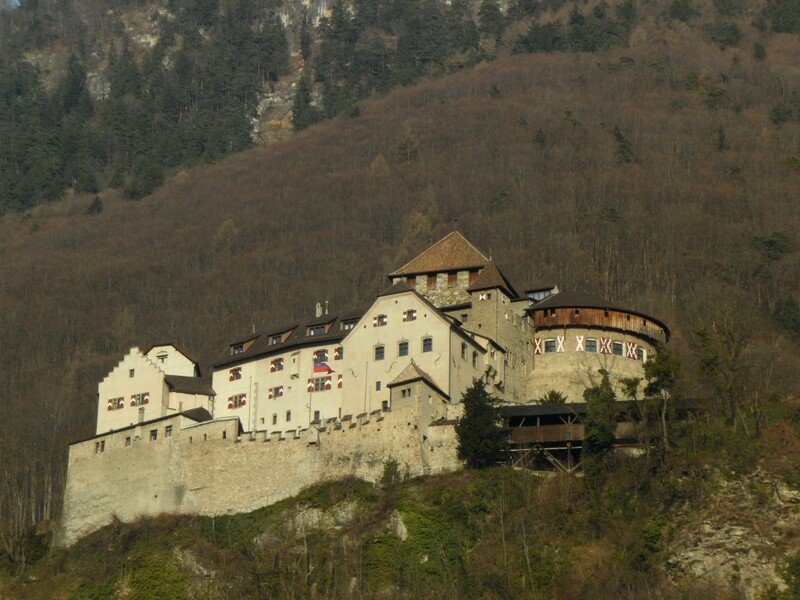 She invited me to visit her in Switzerland, and in 2011 I extended my trip to spain to include a ten day trip to Switzerland. From Madrid I flew by myself to Zurich. Along the way I switched planes on the small Mediterranean Island of Mallorca. I almost missed my connecting flight, and that was one of the single most scary experiences of my life. My plane came in late, and on the tarmac I missed the shuttle that was taking passengers that had immediate transfers to their gates. 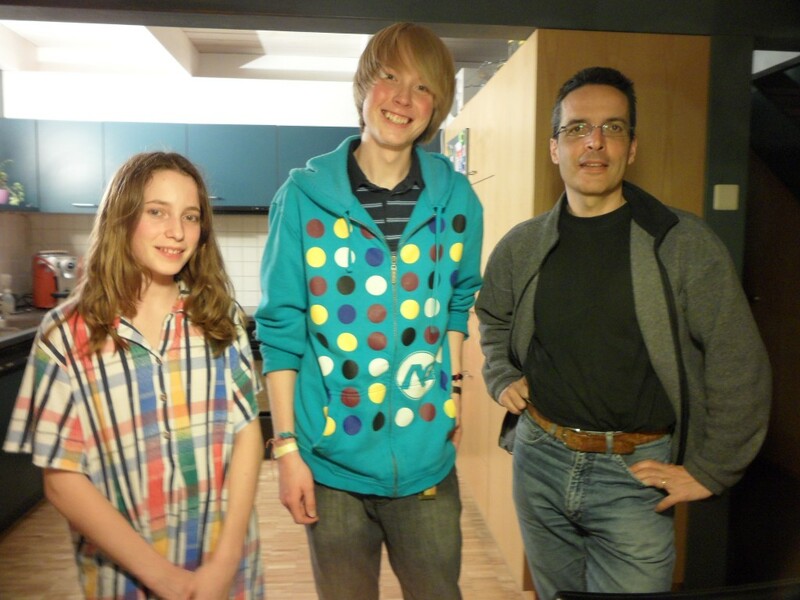 Luckily I made it to Zurich, and was picked up from the air port by Antonia and her father Daniel. 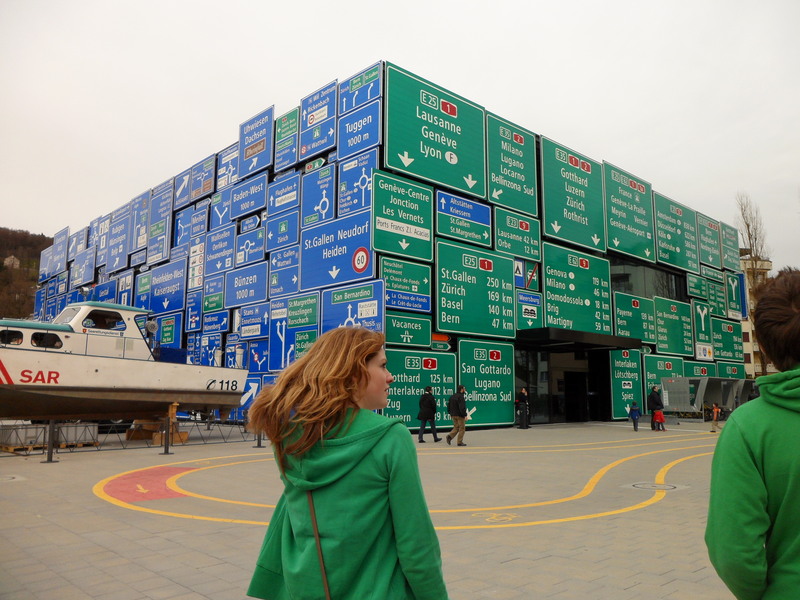 For this trip, I came with absolutely no plans, no itinerary or list of sights I wanted to see. What I wanted most of all was to become a swiss local for the time I was there. I wanted to do the things that a typical family would do, and hopefully become a functional part of that family for a short time… I had more fun and experienced more amazing things than I could have ever imagined. 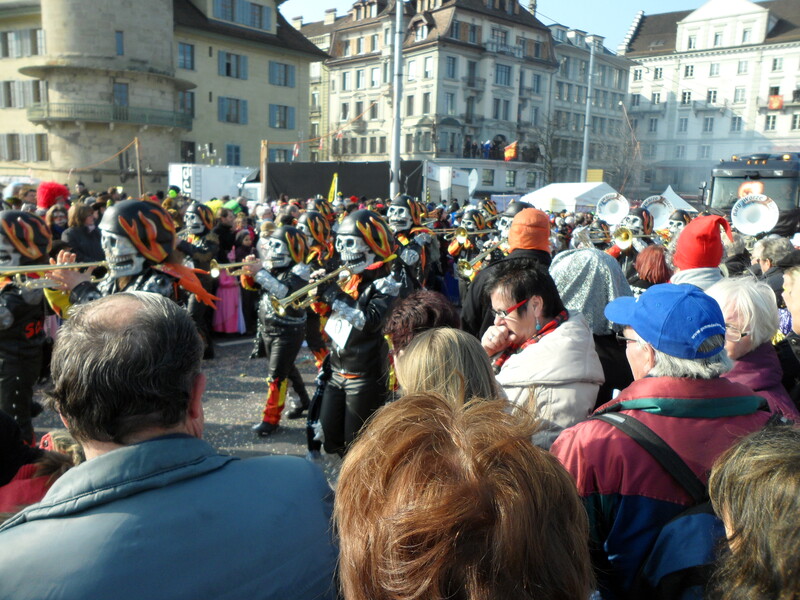 The week I was visiting was fasnacht (carnival week) in Switzerland. It’s basically where the whole country takes a week off of work and parties. The first thing we did after getting back from the airport when I arrived was go straight to the local Fasnatch kick off party in Hitzkirch (Hitzkirch is the small town Antonia lives in). At the party I got to meet all of Antonia’s friends, dance to live music and DJs. It was an awesome spectacle. Everyone was dressed up in costumes and had a uproariously good time. The next day I went to Lucern with Antonia to watch the huge Fasnatch parade, and see the city all decorated. There were bright colors, costumes (I myself was dressed up as a cowboy), and music everywhere. The following day we rode the trail to Liechtenstein, where we visited Antonia’s god-parents. I never thought I would visit one of the smallest countries in the word, but there I was staying in a house on the side of a mountain overlooking the Alps. 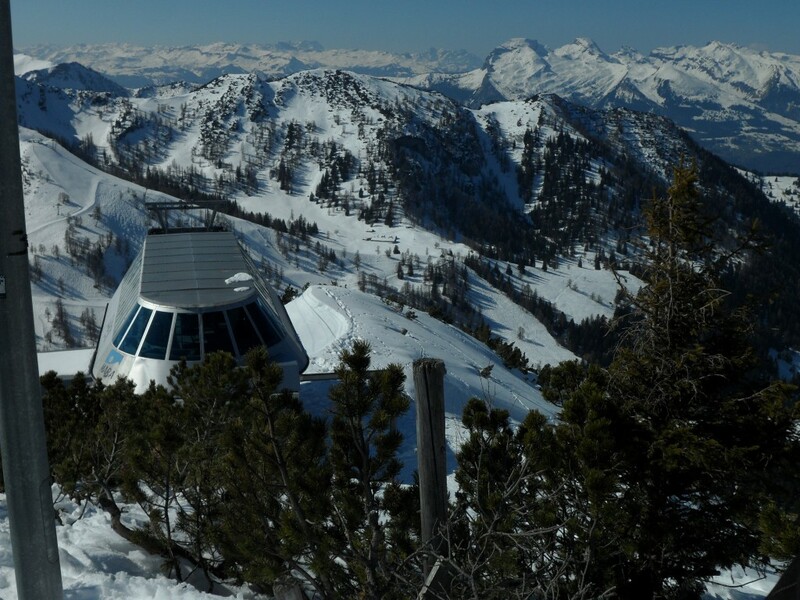 We spend three nights there, and went snowboarding at a local resort. To me the hills seemed gigantic, but they kept assuring me that it was a small. 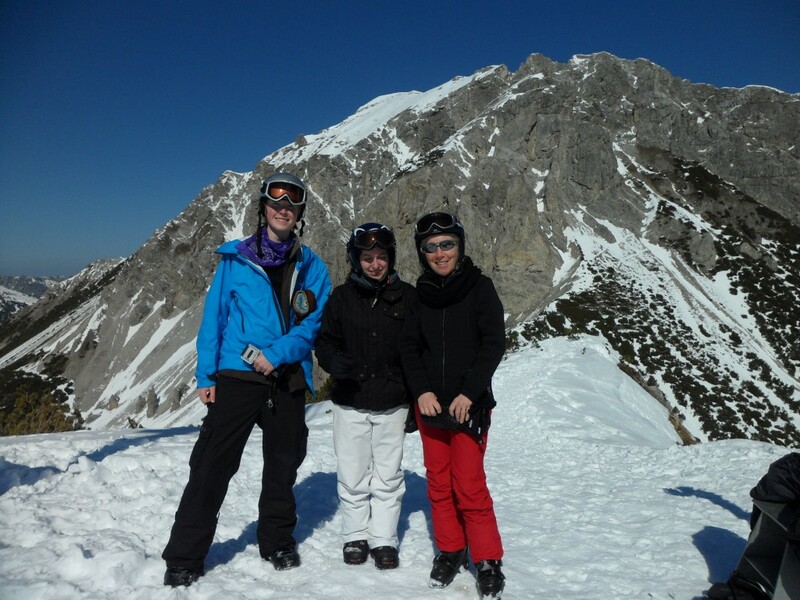 It was cool to snowboard there because I isn’t a tourist destination, and it was very quite while we were there. 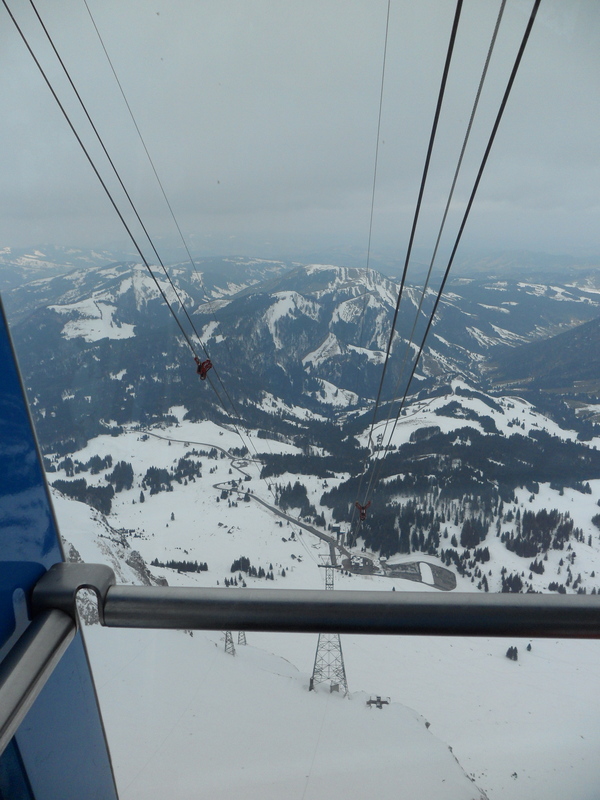 From the top of the Ski lift, you could see the borders of three other countries: Switzerland, Austria, and germany. Antonia’s god father gave us a ride to our next stop. While driving through almost the whole country, which took only a couple hours, we stopped to take a quick look at the buildings of parliament and the prince’s castle (yes, they have a prince, AND A CASTLE THAT HE LIVES IN). 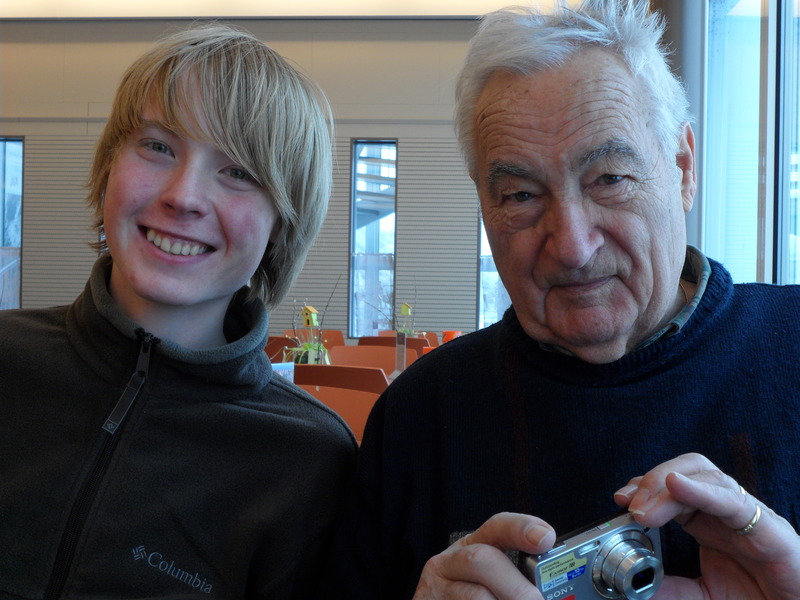 After driving through Liechtenstein and back into Switzerland, we met up with Antonia’s grandfather. We visited with him and stayed at his apartment for a couple days. While we were there, I got to watch a proper football match on TV, and play swiss card games. 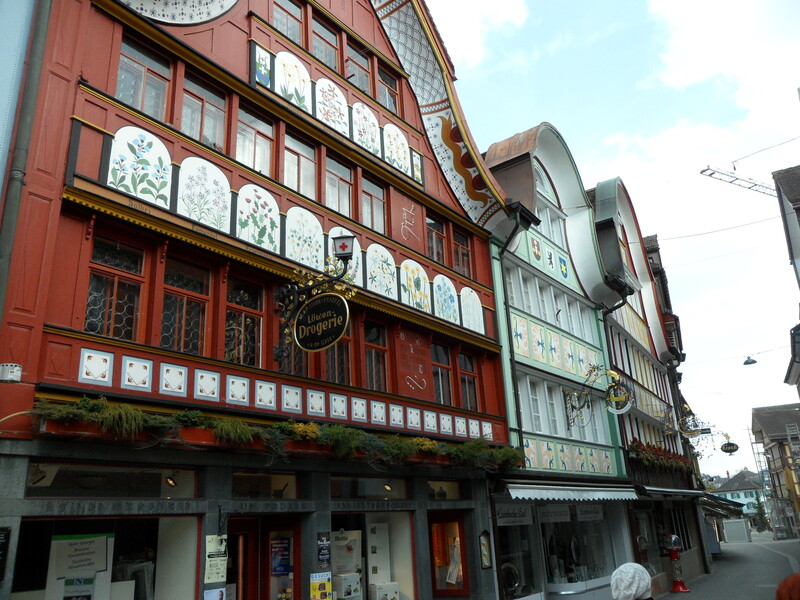 As a surprise, he took us out for a cable car ride and to the famous town of Appenzell. Spending time with Antonia’s grandfather was a lot of fun. He didn’t speak much english, and always tried to talk to me in swiss-german, but after spending a day together I learned a few german words, and her learned a few more english words. 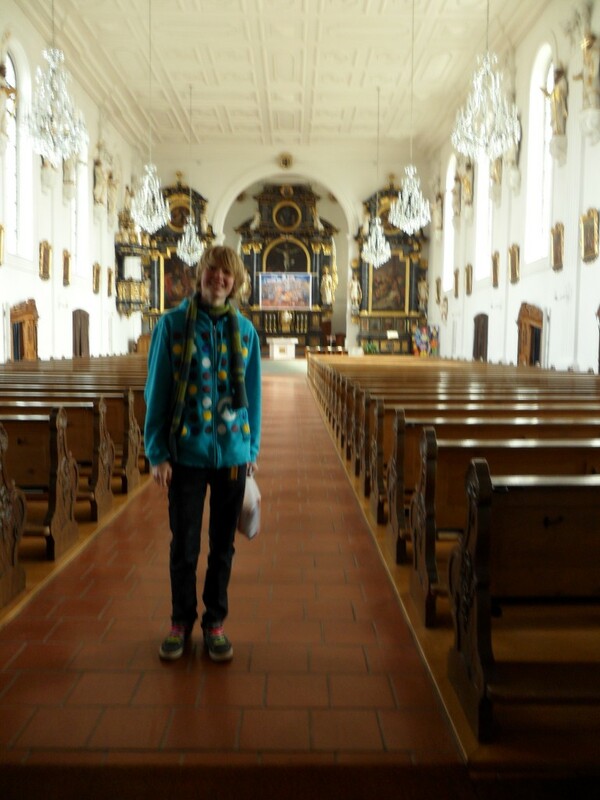 After these adventures with Antonia’s grand father we headed back to Hitzkirch. The next day after we got back was probably my favorite of the whole trip. We spent the entire day exploring the town and visiting extended family that lived near by. 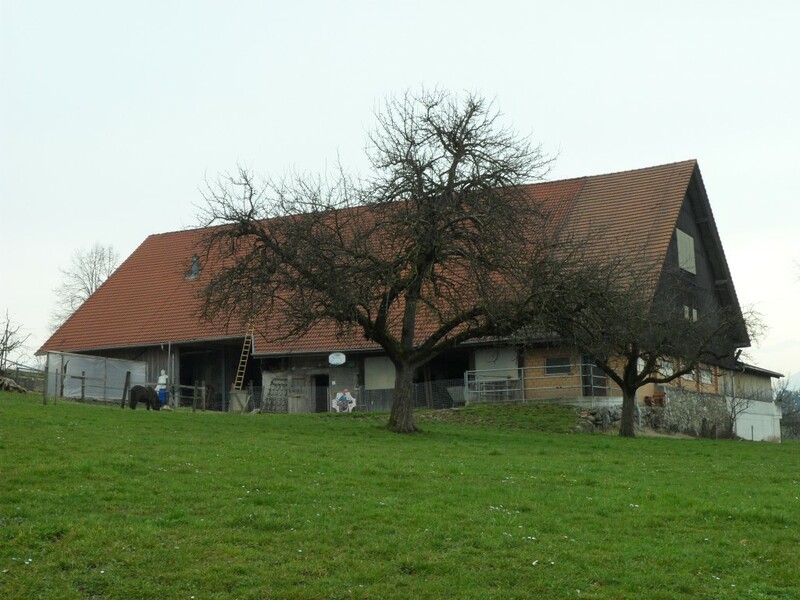 We went grocery shopping, checked out the town’s catholic church, the Hitzkirch police academy, and went on a bike ride through the farming fields surrounding the town. We spent the evening with Antonia’s uncle’s family and her grandmother on their tiny diary farm. 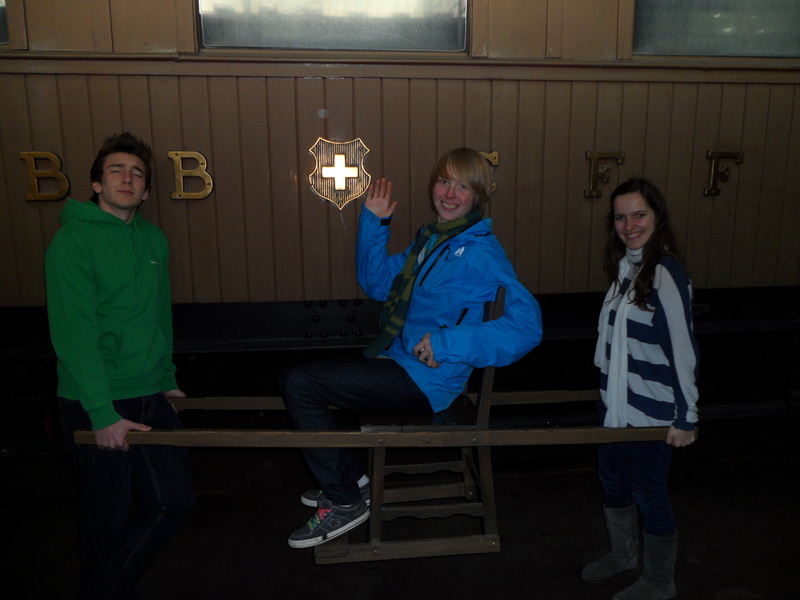 During my last full day in Switzerland, Antonia and I hung out with her friends in Lucerne, where we went to the museum of transportation. The museum was huge and extremely interesting. That evening, I celebrated Antonia’s father’s birthday with her family. We ate coffee cake, drank champaign (the legal drinking age in Switzerland is 16), and had a really nice evening. It was so sad to leave the next morning, but I was so glad that I got such an amazing opportunity that I truly will never forget for the rest of my life.